"It all started with a mouse..." It is hard to travel to the Sunshine State and not fall in love with the captivating world of Walt Disney. From the moment you touch down at Orlando International, the happiness is infectious. 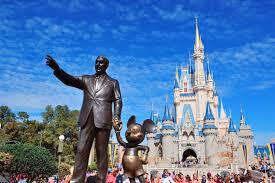 Orlando, Florida is synonymous with fun - magical, mystical, sparkling bucket loads of it! A vacation in Orlando, really is a holiday unlike any other. Endless sunshine, beautiful beaches, action-packed adventure parks and your very own exclusive villa rental for you and your family to enjoy - it doesn't get much better than this! It's hard to put into words how you feel when you walk through the gates of Magic Kingdom for the first time. It's an experience that has been delighting visitors both young and old for decades. Before you embark on your incredible vacation home rental in Orlando, you can now experience a snippet of the Disney magic on the big screen. 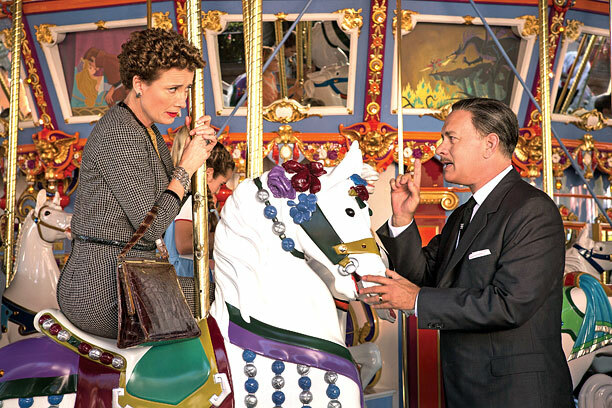 The hugely anticipated Saving Mr. Banks stars Tom Hanks and Emma Thompson in the moving true story about the little known historical meetings between P. L. Travers, the author of Mary Poppins, and the king of movies himself: Mr. Walt Disney. The hugely popular story of Mary Poppins remains a firm favourite for children all over the world, but the lesser known, real-life back story of the Banks family is both enchanting and heartwarming. Saving Mr. Banks opened to rave reviews and it's easy to see why; after all, anything to do with Disney is the epitome of perfection. We are firm believers in seeing is believing which is why we are so passionate about bringing you the very finest in private villa rentals in Orlando. We defy anybody to visit Magic Kingdom and not be instantly transformed into a carefree and child-like Disney character of their own. Whichever direction you are blown in from, we can promise you the ultimate family holiday in one of our exclusive holiday villa rentals in Orlando. When the wind changes, and it's time for you to fly away, you'll be left with memories of an extraordinary family holiday that is so much more than just supercalifragilisticexpialidocious.